Home / FAQ / Are there any group health insurance business options? Depending on your reason for asking this question, there are group health insurance business options. If you’re an employer or administrator of your company’s health benefits, you’ll find many options to choose from with group health insurance plans. However, if you’re an employee in a business that has group health insurance, you may find that your only option is to either sign up for the plan as it’s offered, or refuse it. Health insurance rates depend upon many factors, including your geographic location. Enter your zip code in the free toolbox on this page to find health insurance quotes for people living in your area. Many health insurance providers sell policies for groups, as well as individuals and families. When you’re purchasing your own health plan directly from an insurance agent or company, you have a lot more flexibility in terms of the type of insurance and the options that you need. When you’re a new employee with a company and are signing up for your benefits, there’s a good chance you’ll just have one type of plan as your choice. If you work for a larger business, there might be more plans offered. What are the options for group health insurance for businesses? The options for group health insurance for businesses are the same as they are for individuals. Typical health plans are the managed care type of policy, which is based on a PPO, POS, or HMO. In managed care health insurance policies, policyholders have access to specific healthcare practitioners and facilities that are considered in-network and will pay much less to use them. Policyholders can still go to providers out-of-network,” but will have to pay much more to do so. Of the three managed care options, HMOs are the most basic, and least expensive. An HMO, which stands for health maintenance organization, features a reasonable monthly premium and low co-pay, and usually has no deductible. HMOs are focused on health maintenance, so they tend to promote programs that help policyholder lead a healthier lifestyle, including better nutrition and more exercise. With an HMO, policyholders must choose a primary care provider (PCP). If they need to see any specialists, they first need to get a referral from their PCP or insurance will not cover any of the cost of the specialist visit. A PPO or preferred provider organization is the middle of the road choice of managed health care plans. The PPO has more flexibility than the HMO, allowing policyholders to see any practitioner who is in the PPO network without having to designate a primary care provider. This also eliminates the need for referrals, as long as the insured stays in network. PPOs also tend to approve of more medical procedures than an HMO, which is focused on health maintenance. In a POS, which stands for “point of service,” policyholders do have to pick a primary care provider, but they can get referrals for specialists both in and out-of-network. Health insurance will likely cover the in-network visits fully, but not the out-of-network ones. POS plans still allow customers a broader range of services by not limiting them to certain physicians, hospitals, and other healthcare providers. Is there any type of health insurance besides managed care? Yes, there is a health insurance type that is not as popular as managed care these days, though it used to be the main type of health coverage offered. This is a fee-for-service plan. Fee-for-service plans allow employees to choose any doctor, clinic, specialist, or other provider that they wish. The catch is that policyholders usually don’t get reimbursement until they reach a certain annual deductible. Even then, they usually have to still foot a portion of the bill, while the insurance provider will pay the rest. Employers who offer this type of fee-for-service health insurance policy also tend to have some sort of HSA health insurance or healthcare savings account set up for their employees to save pre-tax dollars out of their paychecks. 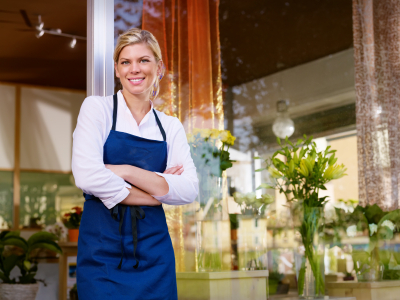 Can I get more than basic coverage with a group health insurance plan for business? Absolutely, besides managed care or fee-for-service plans, which help pay for routine and sick visits to doctors and clinics, many of them feature a prescription plan that helps pay for the cost of medicine at the pharmacy. Additionally, employers can also purchase supplemental health insurance plans such as dental and vision coverage. Sometimes their main health insurance provider can offer this, while other times they might contract with an insurer who specializes in these types of insurance, such as Delta Dental for dental insurance and VSP for vision coverage. Start your research on health insurance rates for businesses here by typing in your zip code below.